Successful law practices need rainmakers to bring in new business. 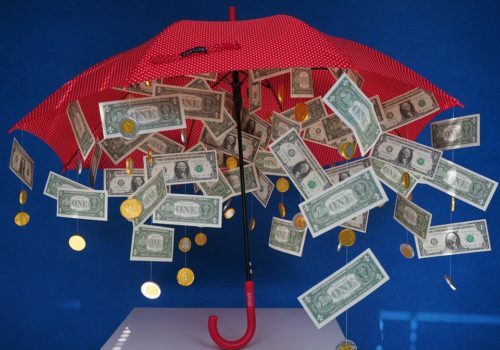 Although being a law firm rainmaker is considered one of the best law jobs, the ability to generate new business or addi-tional cash flow is not something that is tested on the bar exam (nor do firms explicit recruit law firm positions entitled “rainmakers”). So how what are some specific steps that law firms and practices can take to create a culture of leaders with the initiative to go out there and develop business? First, define the specific goals you want to achieve, and create the metrics that will be used to measure and track your progress. Communicate the target so that your team knows where you are going, and communicate the metrics so they knows whether they have arrived. Second, you want to select revenue targets and the appropriate training levels within all practice areas and appropriate ranks. Support your team towards achieving your goal. Tap into your current rainmakers to learn how they do it. Create a regular and systematic system of knowledge collecting and sharing so that these skills can be learned by junior attorneys. This is something that can be incorporated into your business development and professional development training. Just because someone is not the life of a cocktail party does not mean they can not bring in business. It is a mistake to leave out someone who has the desire to bring in business (whether that someone is an equity partner or a paralegal). Creating a culture of people passionate about the firm’s mission and moving towards the firm’s targets will inspire drive and enthusiasm. Every person in your firm has a role they can play. “Do you think we can help?” —> This would result in a yes or no answer. “How can we assist you?” —> This, on the other hand, requires more information to be shared. Training your team to shift to “how” at all ranks fosters a culture a service, and also enables each member to participate in bringing in business. Training and resources should be made available to the entire team. Every employee should be able to share a couple of sentences that explains why your firm stands out and the unique value it can deliver. That being said, make sure to you also support your high achievers. Don’t ignore your star players and assume all is well (remember, any other firm will likely be calling us to try to recruit them). Solicit feedback from your team to find out what they need to stay engaged and passionate.